I really love playing games, but it’d be great to actually be able to make one. Unfortunately, I have a bit of a stumbling block in my way and that’s my idiot brain, a cerebral space so stuffed full of fart jokes and action movies’ one liners that things like science and math can’t thrive. I’m sure I’m not the only one out there, which is why a concept like Oh My Game’s is so exciting. 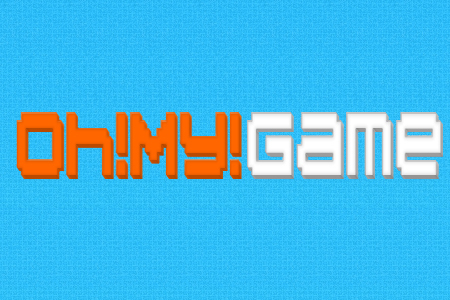 Oh My Game is a browser-based game creation program that takes away all the boring aspects of game development and lets everyone take a stab at being the next indie phenomenon. This feat is possible thanks to a simple set of drag and drop logic tools and a cloud server for all your art assets. OMG is currently in Beta form, but if I know anything about Alphas and Betas it’s that at some point in the future they become full releases. I’m pretty excited to be able to soon release “Ethan’s Non Confrontational Exploration and Friendship Quest Through Space, Time and Under the Ocean Because The Ocean Scares and Mystifies Me”, though my cat based design team has been a bit finicky as of late. It’s interesting you’ve found and shared this because I’ve just recently started toying around with HTML5 in hopes to start learning how to make my own basic video games. I might give this a try and create my own line of video games to train my cat and other cats to be a cat army. Your cat is welcome to apply for Cat Army Training or CAT for short.